Networking : a professional wardrobe essential for the superwoman in you. Networking is not just about connections , it is about cultivating associations. Professionally women are not natural networkers as men are. It is lot more easier for men to exchange business cards than women. Infact women don’t exchange business cards among themselves either. Certain misconceptions are associated with networking and it is time to get rid of those. 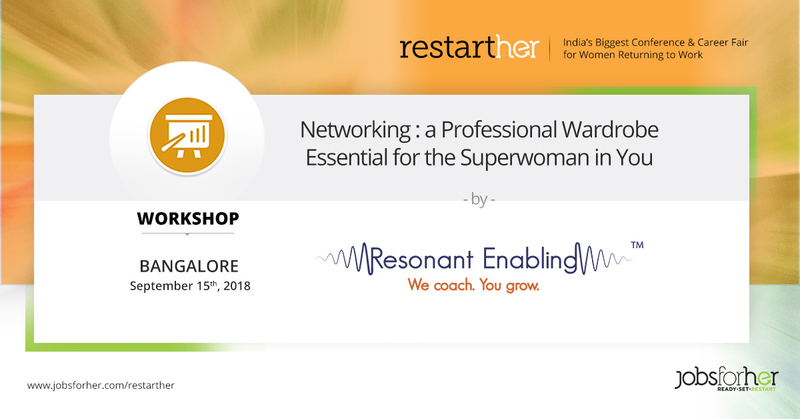 This workshop will help you understand the dynamics of networking and why is it a necessary evil. Get tips on how to network successfully and the mistakes to avoid.